If you have a big love for animals we have the perfect Raccoon Non-Slip Stain Resistant Animal MatMates Doormat for you. This mat is made using a dye process that gives the mat a beautiful and fade resistant finish. The rubber backing keeps the mat in place on any floor surface you place it on. The Raccoon Doormat is created to be utilized outdoors with our outdoor tray. This Raccoon doormat is 18" x 30" when used as a stand-alone mat. Note: The Raccoon Doormat is pictured in our Scroll Corner Outdoor Tray. 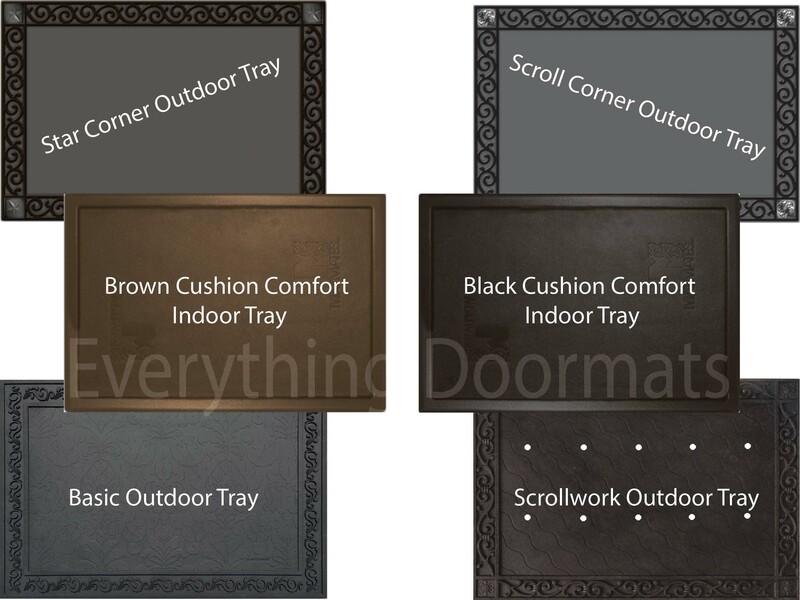 The outdoor trays and cushion comfort trays are sold separately.